25 indicators were identified and “prioritized” according: data availability, consolidated methodology, processing requirements feasible in the frame of the project, policy relevance, clarity and message) and grouped within 5 groups: 1. Driver indicators, 2. Pressure indicators, 3.State indicators, 4. Impact indicators, and 5. Response indicators. 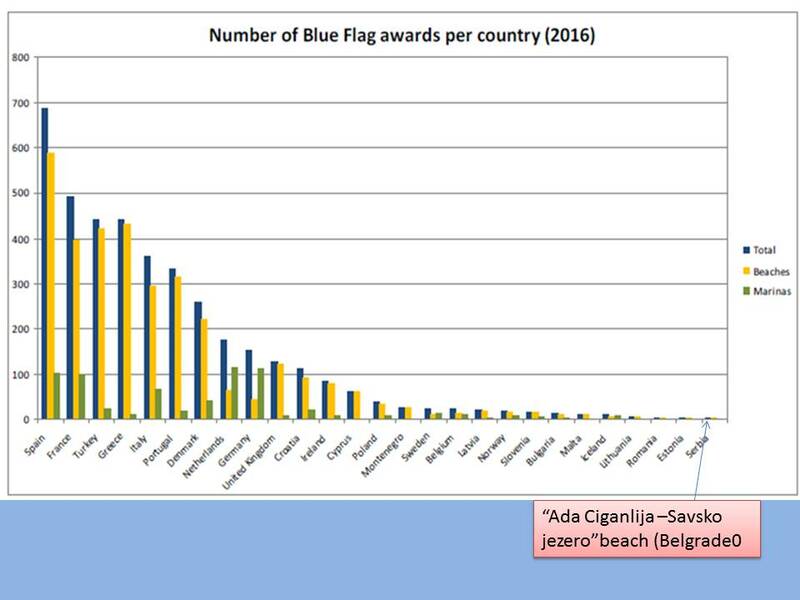 Until now, Serbia have 1 beach with Blue Flag and 2 hotels with Green key.